Back Row: Clive Harry, Radley Wheeler, Phil Hall, Robbie Lye. 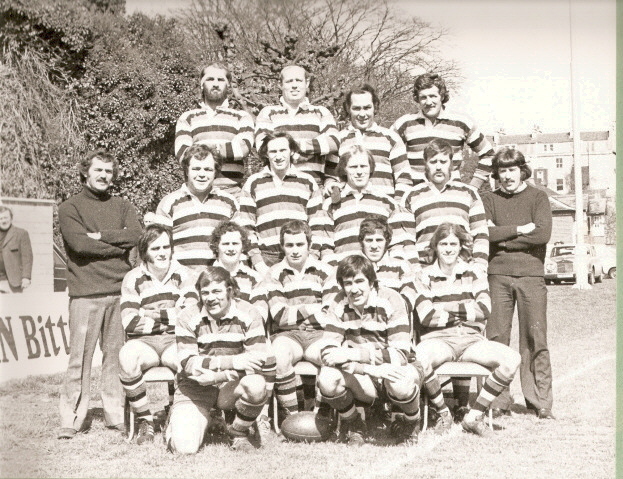 Third Row: Tom Martland, John Meddick, Mike Beese, Nick Hudson, Geoff Pudney, Geoff Pillinger. Second Row: Jim Waterman, John Horton, Chris Perry, John Davies, Tony Hicks. Front: Alan Parfitt and Brian Jenkins.